We’re continuing our series on soft skills that lawyers require in order to achieve success. We’ve looked at some suggestions for improving networking and presentation skills, and the next item in our series is raising the level of our business writing. You may feel that this is something that you’re already pretty adept at, since you do a lot of writing – but my guess is that it’s primarily focused on legalese. And while you, and other lawyers, will understand this clearly, most of your clients and potential clients don’t want to be reading a lot of phrases like “inter alia” or highly technical writing. Even the lawyers among them will want you to get right to the point, and distill your writing into direct, actionable items that they can understand efficiently. So how do you practice that? It seems silly, but the best way to get better at writing is to, well, write. The old adage “practice makes perfect,” exists for a reason, and writing is no different. The more you do it, the better you’ll become at it. That doesn’t mean you write about any old thing (though, if you have a passion for French cooking, and you want to start a blog about it, write away!). Identify a topic that you believe will be of interest. Consider what may set you apart from other lawyers – what is your practice specialty? What area of the law are you passionate about? Is there some obscure thing that no one is writing about that you could contribute to? (Note: it doesn’t HAVE to be obscure, but don’t be afraid to find something unique, as long as you’ll be able to develop enough content around it). Consider too that it doesn’t have to be the only focus of your practice for it to be the sole focus of your writing, but it is best to be laser-focused in your writing in order to generate a solid audience. Find a platform that works for you. LinkedIn Publisher can be great for getting your feet wet in terms of authoring articles, and you’ve got a built-in audience. It’s also an excellent place to tag people that you want to read your posts. If you are ready to have a standalone blog, speak with your firm’s marketing department about whether they already work with a blogging platform – and be prepared to make a solid business case for why you want and need a blog. Identify your audience. Who are you writing for? Is it for general counsel? Is it for HR managers? Is it for industry influencers? What are your goals in writing, and who do you want to reach? Why will they read what you’re writing? If you ask yourself those questions every time you write, it will inform what you write about, and your writing will ultimately be more effective. Since you’ve already identified the topic that you want to write about, and may be writing already, look for articles and blog posts that focus on similar subjects. If the authors regularly write on the same topic, follow them and see what you like and dislike about the way they write. Not only will it help you with your own writing, but it will give you topic ideas as well. A great way to connect with other thought leaders in the industry is to respond to their articles and posts with your own writing, linking to their original work, and then tagging them in your social shares. Use social media to identify thought leaders. Twitter and LinkedIn are a great place to start – you can search keywords and hashtags to see what people are writing about, and who seems to be getting the most attention. 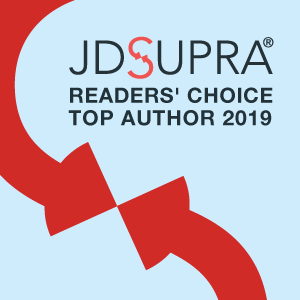 Check out JD Supra as well, to look through categories of topics and identify hot topics and top writers to follow. As you collate this list of thought leaders, continue to review how they write and engage with their audience, and let that inform how you want to write and engage with yours. While we’re focusing mainly on those within the same topic area as you, don’t be afraid to look totally outside the industry as well for inspiration. You may not be writing about the same topics but seeing how business writers communicate in different ways will vastly improve your writing. While there aren’t a lot of them, look to see if your clients and potential clients are doing any writing too, and then take two courses of action. In the first, read what they’re writing and respond to it in your own writing. Use this as an opportunity to tag them and network with them through your writing. In the second, reach out to them to co-write articles. If your clients and potential clients aren’t regularly writing, this is an opportunity as well, as I’ve heard from a number of clients that they’re interested in more of this type of collaboration with their lawyers. And finally, share your writing – this doesn’t just mean with your audience, though, of course you’re going to do that too – but with a trusted group of editorial allies. Even the best writers, from time to time, need feedback. So, talk to friends in the legal community, your partners, your marketing department, and others that you trust to give you honest feedback. In some cases, don’t tell them your audience or goals, and let them see if they can tell you who they are based on what you’ve written. In other cases, ask them if your points are clear and concise. Identify whether you’re meeting that goal of business writing, or if you’re too focused on legal writing. Allow them to edit your articles and posts and know that any criticism is putting you well ahead of your peers when it comes to thought leadership, if you can take it and apply it thoughtfully. Blog posts and articles are just one type of business writing, and there will be many opportunities throughout your career to flex your business writing muscles. If you begin practicing here, you’ll be ready to dive into client alerts, email communications with clients, trade articles, and more, because you’ll already have a solid command of how to translate the law into business.